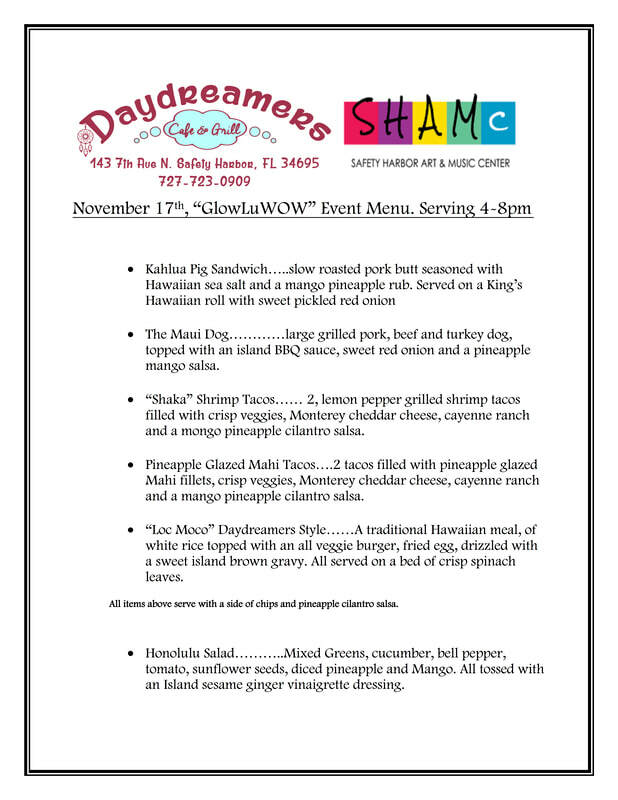 Dress in Aloha wear and parade with us at dusk with your decorated umbrella/lantern....we celebrate ourselves at dusk (5:30ish)then return to SHAMc for Hula, Spam Carving, Ukulele and Drumming and Dancing!! Dine and enjoy some local Ukulele Music OR just have MaiTais and other cocktails or Beer and Wine from our Oooga Booga Bar all night long! 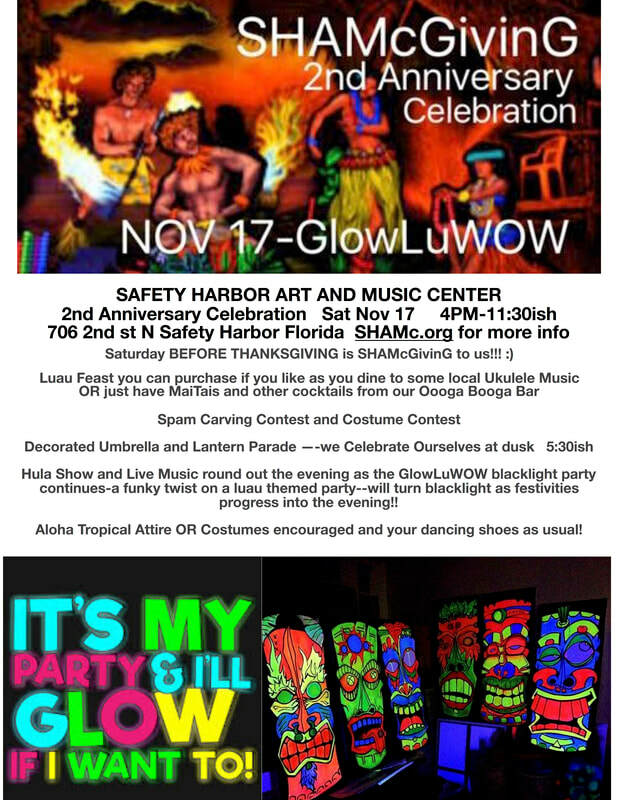 Hula Show with Noelani Tagarelli, Fire Twirling with Liz Sparkle and Live Music round out the evening as the GlowLuWOW blacklight party continues-a funky twist on a luau themed party--will turn blacklight as festivities progress into the evening!! ​and your dancing shoes as usual! Urban Gypsies of Florida are our headliner and will be leading our parade AND calling a "Hulananny"! (not your mother's square dance) Crazy fun times, tribal disco gypsy drumming and tail feather shaking! !